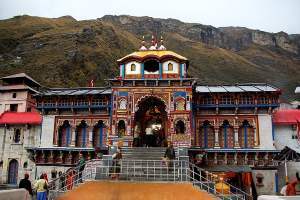 A famous pilgrim place of Hindus religion, this town is located by the side of river The Ganga and from here the Ganga river comes out of hills and start flowing in plane areas. The clean water of The Ganga a scared river for Hindus has added lot of value to this town. 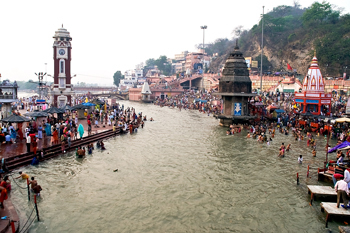 A holly bath on this river at Haridwar is considered to be of high importance in Hindu religion. Many Ashrams, temples, Dharma Salas are constructed in this holy city by the side of this river. Haridwar is also famous for Char Dham Yatra ( Visit to four religious places ) for Hindus. From here the Char Dham Yatra to Gangotri, Yamunotri, Badrinath and Kedarnath is organized / started. It is customary to take a dip in the holey river Ganga at Haridwar before staring of Chardham Yata. 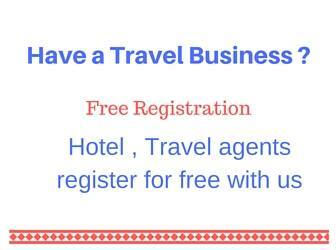 There are many travel agents here in this town to arrange your trip. 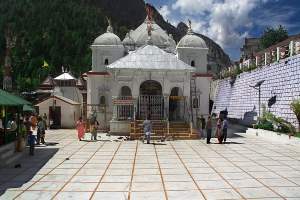 Other than this Char Dham Yatra there are many other trips and trekking programs can be arranged from here. Frequent buses are available from Delhi to Haridwar. Plan for a late night bus or sleeper if you want to arrive morning at Haridwar as the duration of journey is around 5 hours only. From ISBT ( inter state bus terminus ) of Delhi you can take a bus to Haridwar, Rishikesh or Dehradun. Comfortable night buses with sleepers are also available. Take a prepaid taxi from Airport to ISBT, it will cost Rs 230 ( Oct 2008 Price ) for a prepaid Taxi to ISBT. Extra Rs 10 per bag is to be paid. There are plenty of budget hotels available near railway station and bus stand. The Railway station and bus stand are very close to each other and are located opposite side of a common road. We didn't have any problem in getting a room during rush season of May. However for luxury hotels it is advisable to book in advance during the peak seasons of May � June of the year. During this time many tourist come to Haridwar from different parts of India and abroad for the Char Dham Yatra. By air nearest airport is Jolly Grant airport of Dehradun. You can get flights from Delhi to this airport which is one our drive from Haridwar. This is the main attraction of Haridwar. This place located by the side of river The Ganga has many bathing ghats around this place and this place is famous for evening Ganga Aarti or puja of the river Ganga. Several diyas are staged in one stand and offered as Aarti to river the Ganga. During the Aarati several such diyas were lighted up by the side of Ganga giving a spectacular view with reflection of light on water. Devotees also offer Aarti available at the bank during the same time. The Ganga river water lights up with many small and big floating lamps on its water. One need to take a good seat by the side of the river to get a good glimpse of the Aarti. 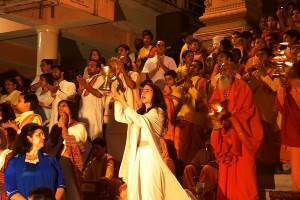 This ritual is a daily event at Haridwar and it attracts tourists to this place. After the Aarti the market becomes busy with returning pilgrims doing their shopping. The whole area became charged with devotional songs on mother Ganaga during this time. 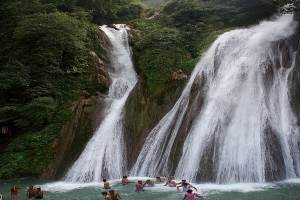 Haridwar is also famous for two temples located at hill tops. Both these temples are connected by Cable cars one is Mansa Devi temple and Maa Chandi Devi temple. At the top of one hill two temples are located and they are connected by cable cars. One temple is of Maa Chandi Devi and other one is Maa Anjni Devi. Anjni Devi is the mother of Lord Hanuman. 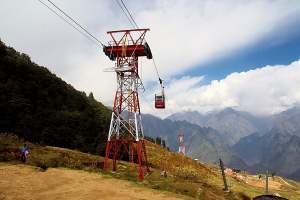 From the bases of these hills ticket for this cable car and for other cable car located within the city ( Manasa Devi Temple ) can be purchased. Only for Chandidevi temple ( or Anjni Devi temple ) the price is Rs 80/- both ways. For the same counter ticket for Manasa Devi cable car also can be taken by paying for combined ticket of Rs 128 /-. There is a package offer of Rs 165/- for both the cable cars including transport between them. 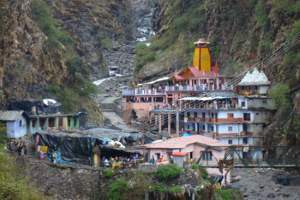 Manasa Devi temple is located at the top of the Vilwa Hill or Parvat and is connected by cable car. Here also the cable car for both the temples can be purchased for both ways by paying Rs 128/- per person. Each trip can be planned by paying the fee. Good arrangement is done at the base and top of the hills for the cable car entry queue and exit arrangements to handle the rush during tourist seasons of May and June. More number of cable cars is in use and different entertainment programs like puppet dances etc are organized for the waiting tourist in queue. From the temple good top view of the river The Ganga and Haridwar town can be seen. The cable cars are known as Udankhatola here. The stretch of cable car for Chandi Devi & Anjni Devi temple is long and there is a distance map for comparison of different cable cars in India. thanks for all of you for uttarakhand state people, first of very buitiful nature of Pauri, Dhanalti, uttakassi, chamba, tehri, derahdun etc.